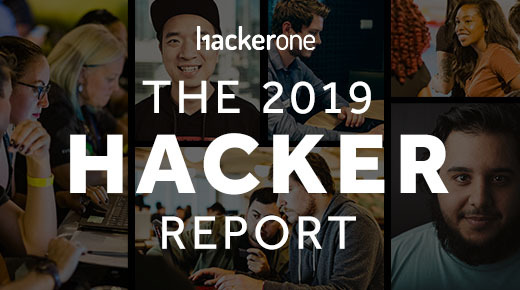 The 2019 Hacker Report brings the HackerOne community to life with statistics, interviews, insights, and more from over 300,000 individuals working to make the internet a safer place. In this webinar, HackerOne co-founder Michiel Prins will cover the top 15 vulnerabilities types of the 100,000+ valid vulnerabilities reported across the HackerOne platform. Learn how collaborating with ethical hackers minimizes cyber risk and the policies that promote a "neighborhood watch” driven approach to security. Learn how you can work with your QSA and auditors to meet your compliance needs. Every security-aware organization uses penetration tests to simulate attacks, close security gaps, and fulfill compliance requirements. Learn how you can implement hacker-powered security strategically with your security needs and maturity in mind. Read this new ebook to learn 4 steps MSPs can take today in response to this government alert. Join financial services veteran, Jason Pubal, for this informative webinar on bug bounty implementation for financial services firms. Jason will review how in an agile and devops world, bug bounty programs help align information security with the new pace of product development and enhance a penetration testing program to be more focused and valuable. Get to know the HackerOne community of hackers and see details of the HackerOne platform and approach. Hacker-powered security checks off each of those boxes for growth-stage startups. It’s a cost-effective means for reducing risk and improving security, while also enabling engineering scalability and efficiency. No one migrates to the cloud to become less secure than before the migration. Read on to learn how to prevent such a security regression when migrating to the cloud. VDPs protect companies and hackers. That’s why the U.S. Department of Justice, the European Commission, and the U.S. Food & Drug Administration recommend them. When customers trust you to store and manage their data in the cloud, and regulatory agencies are watching, you need more than just the traditional approach to security. Connecting eaters with restaurants is Zomato’s main business, so they took a hospitable approach to hackers, driving engagement and quality submissions vital to the security of Zomato’s customers and core business applications. Over the past 3 years, Salesforce has worked with HackerOne to accept thousands of bug reports and award bounties to more than 1,200 hackers. The results are nothing short of a resounding success. More than 40 of the top blockchain and cryptocurrency companies trust HackerOne and our community of white-hat hackers to strengthen their security and protect their users. HackerOne Challenge customers—from the U.S. Department of Defense and the U.S. Air Force, to GitHub to Airbnb—and 100’s more customers are embracing the hacker-powered approach to increase the value they receive from point-in-time security tests. Here’s what they had to say in their own words. Reina is with the Defense Digital Service, as part of the larger US Digital Service; those responsible for Hack the Pentagon. Don’t just check the box on your annual pen test regimen but get useful results to improve your overall security. General Motors, Toyota, Auto-ISAC, and others are setting the cybersecurity pace for the entire automotive industry to follow. What's it like testifying in front of congress after a massive breach? HackerOne CEO Marten Mickos on NBC: Would you hack the Department of Homeland Security? Shopify uses bug bounties to safeguard their merchants and turn the tables on vulnerabilities...and criminals. Read HackerOne Co-Founder and CTO Alex Rice’s summary of the hearing testimony, a full transcript of the hearing testimony of HackerOne CEO, Mårten Mickos, and also included are responses to follow up questions from U.S. Senator Jerry Moran of Kansas. HackerOne provides several layers of control for selecting, inviting, and approving hackers based on their Reputation metrics, past program participation, specific skills, and more. Read how it works. Government agencies such as the US DoD, EU Commission, Singapore MINDEF and others, trust HackerOne to manage their hacker-powered security programs. Read their success stories. In the past 5 years, our community of hackers has earned more than $24 million in bounties—and they’re on track to earn $100 million by the end of 2020. But we’ve often wondered: what are they doing with all of that money? What percentage of your vulnerabilities have GDPR implications? Read about the strategies Riot Games employs in their successful bug bounty program which has paid out over $1M to hackers. Teaser: respect the hackers! Read how the security team at Mapbox have grown from a simple vulnerability disclosure policy to a robust and competitive bug bounty program. Written by Alex Ulsh from Mapbox. Coinbase is the most popular way to buy and sell cryptocurrencies. Read how they increased their bounties and secure their platform with HackerOne. HackerOne Response is helping AlienVault manage incoming reports, triage them, and automatically create tickets on their internal ticketing system. Read how. Guidance on how to most effectively respond to a breach. See a side-by-side comparison chart of traditional pen tests and hacker-powered pen tests. HackerOne welcomes Allen D. Householder and Art Manion, co-authors of the 121 page CERT® Guide to Coordinated Vulnerability Disclosure, for an Ask Me Anything session around their research and thoughts on vulnerability disclosure. Infographic showing how bug bounties are an invaluable tool for a secure SDLC. The U.S. Department of Defense (DoD), in a first for the U.S. Federal Government, invited white hat hackers to find security flaws in systems run by the Pentagon, Air Force, and Army. See some of the top companies running successful bug bounty programs on HackerOne. Watch this webinar to learn how to get around misguided thinking that leads to executive under investment in cyber security, and secure the resources you need. Specifically focused on the ecommerce and retail industry, this report covers data and insights from 800+ bug bounty programs. Download Vulnerability Disclosure Policy (VDP) Basics -- A complete guide for crafting an effective Vulnerability Disclosure Policy. A vulnerability disclosure policy (VDP) gives ethical hackers clear guidelines for reporting potentially unknown and harmful security vulnerabilities. Get the TL;DR on 451 Research’s latest “pathfinder report” advising decision-makers on the value of bug bounties and the importance of a compliant vulnerability disclosure process. For your quick reference, we’ve distilled the report to 5 key trends that show how white-hat hackers are shaping the world of security. How to ensure security of the sensitive financial data for over 10,000 small and medium businesses? Run a top-tier bug bounty program. GitLab’s Product Manager, Victor Wu, dives into how GitLab helps you ship secure code, the tools they use, and a few industry best practices they follow to protect data and secrets. Creating secure software at the speed of agile: Your SDLC is incomplete without Hacker-powered security with Assembla CTO, Jacek Materna. Learn how hacker-powered security illuminated their security blind spots. Who are these bug bounty hackers? The definitive guide on how to plan, launch, and operate a successful bug bounty program. A study on Americans’ understanding of cybersecurity and hackers. Learn about the HackerOne Success Index - measuring bug bounty success. Tips from launching and leading the Facebook and Uber bug bounty programs. Can your company get hacked? Forward-thinking security teams collaborate to solve problems.